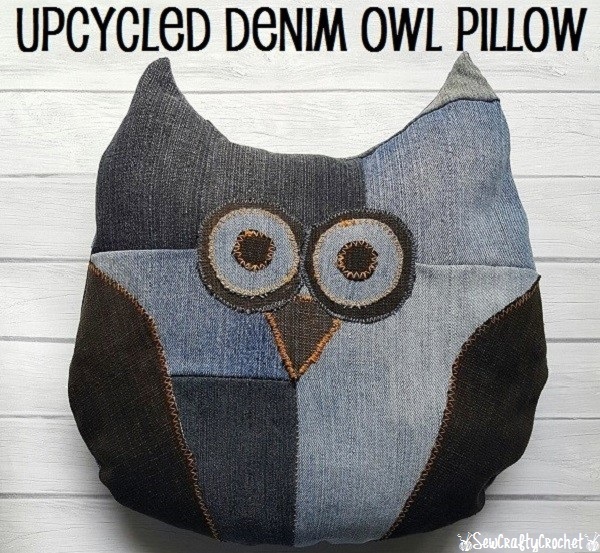 In honor of Earth Day, I decided to do a couple denim upcycle projects. One of my goals for this year is to do more upcycling. 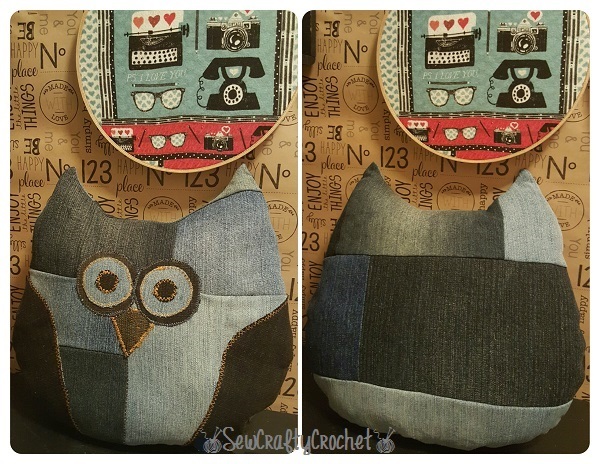 I love upcycling with denim... Well, I love how the denim projects turn out, but I hate sewing denim! I've made several owls before (like 20), so I used one of my favorite owl patterns, the Snuggly Owl, which has a great tutorial. My owl isn't exactly like the Snuggly Owl featured in the pattern because I skipped the center strip, bodice, and the feet. I also made my eyes differently than the owl in the pattern. 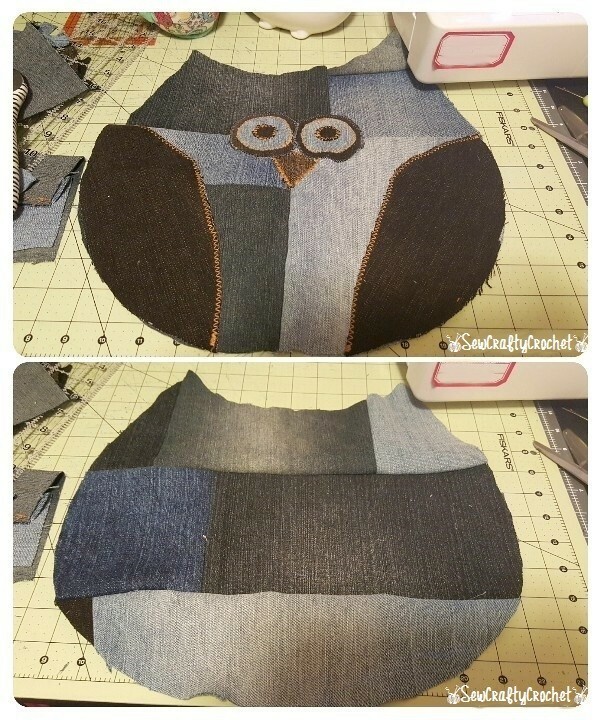 To make this owl, I first had to cut out and piece together denim from my stash of old jeans. My sewing machine is never happy when I sew with denim, but it survived. 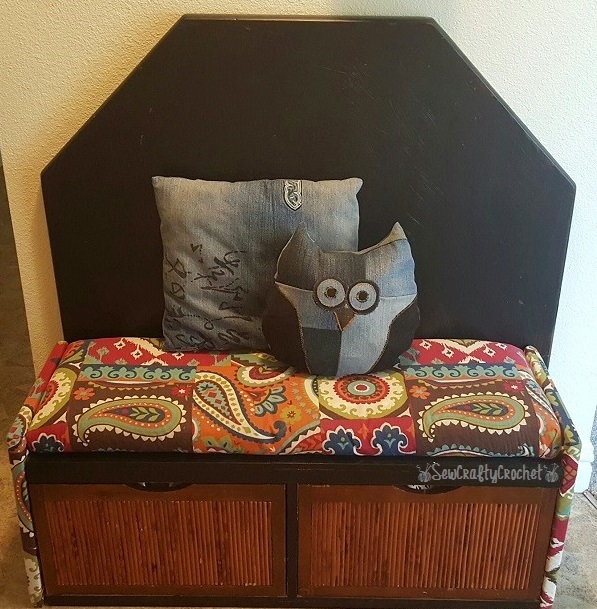 Here's the new denim owl with another denim pillow I upcycled on our entryway bench that I rescued from the local Goodwill. I recovered it with fabric that I cut from some long curtains. And the back of the bench is from an old octagon coffee table.So I love upcycling/recycling!!! 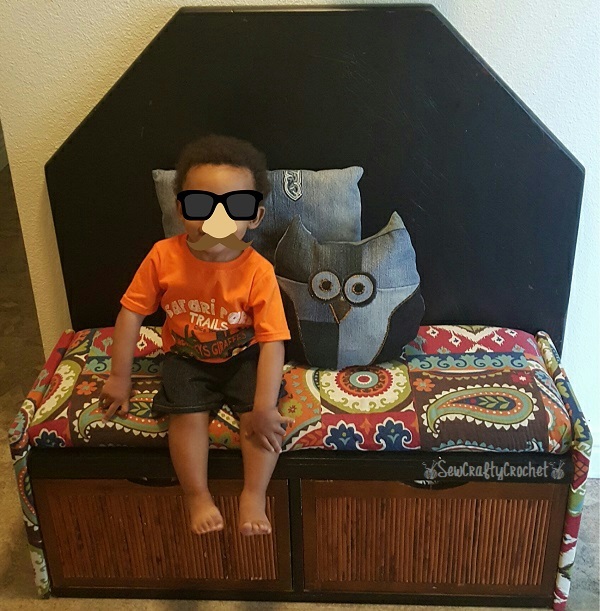 I think my son likes the new owl pillow. He's also enjoying his new Upcycled Denim Shorts.